Since no stove or sharp knives are needed for this recipe, it's a great chance to get the kids involved in the kitchen! 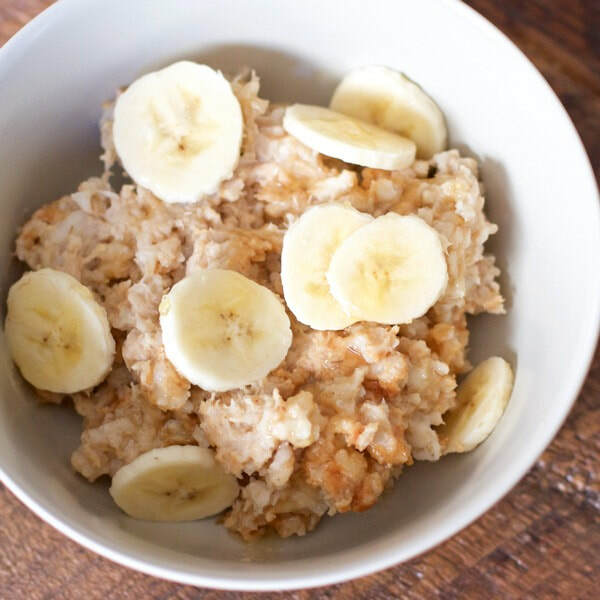 In a microwave-safe bowl mix together oatmeal and water. Microwave for 30-60 more seconds until oatmeal reaches desired thickness. Add additional water or milk if oatmeal is too dry. Mix in peanut butter and top with banana slices. Note: You can use skim milk instead of water to add more protein, calcium and Vitamin D.